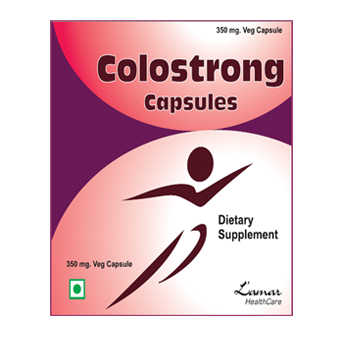 COLOSTRONG capsule (for adult) is prepared at SINED TBI National Dairy Research Institute, Karnal ISO 9001-2000 and HACCP. It boosts up the immune system by fighting diseases and infection. It is an attractive dietary supplement that supports growth factors. It also enhances performance. COLOSTRONG capsule (for adult) functions to protect the delicate bioactive components. You should take one capsule 3-4 times before food or you can take the capsule as suggested by your healthcare provider.